The natural beauty of linen with an iridescent look to make your interior decor fresh and elegant. Careful finishing and thick, quality fabric that makes it hang perfectly. 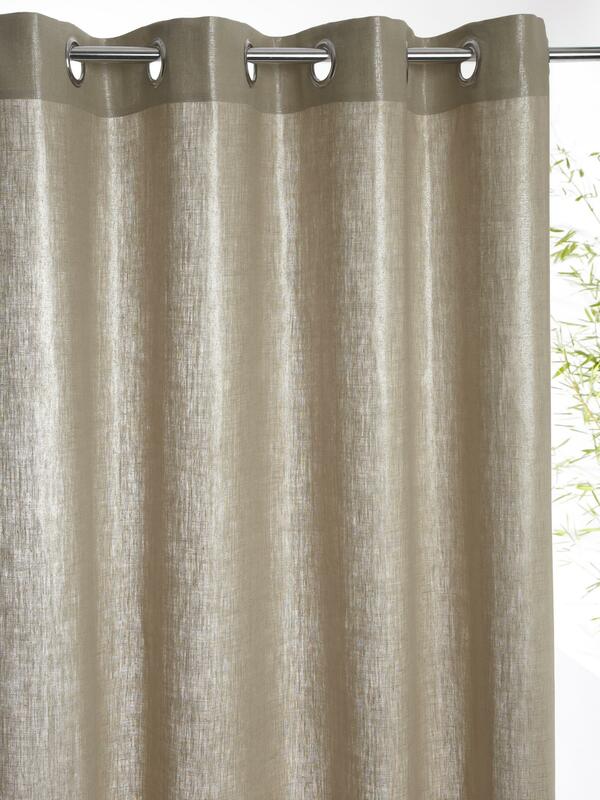 Metallic linen curtain without tiebacks. Hemmed finish, 8 brushed silver steel rings. Colours withstand repeated washes and exposure to daylight. Width 130cm. Sold individually. 100% metallic linen. Flax fibre grown in France. 100% white cotton fabric lining.